The Caligula Effect: Overdose (NIS America, €49.99 / £44.99) - Something's amiss in the seemingly perfect world of Mobius. Escape from the false paradise and return to reality, or risk losing more than just your identity! 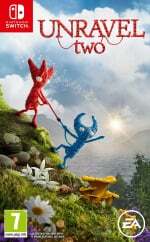 Unravel Two (Electronic Arts, €29.99 / £24.99) - When you cut ties to the past, new bonds form. 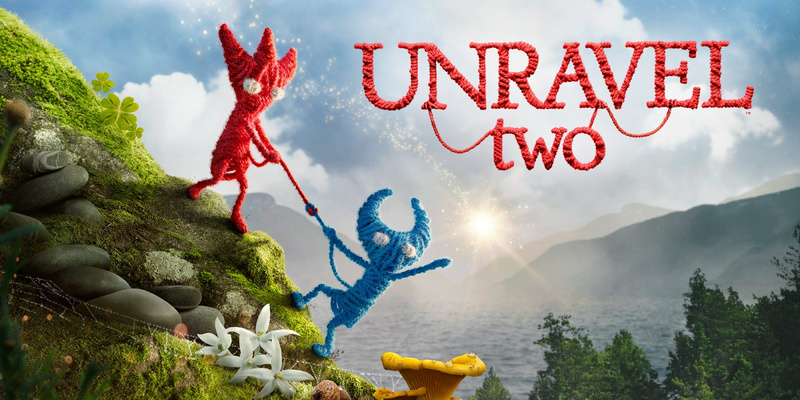 In Unravel Two, create a Yarny of your very own. Then build relationships with other Yarnys in local co-op or as a single player, fostering friendship and support as you journey together. Air Conflicts: Pacific Carriers (KalypsoMediaGroup, €19.99 / £14.99) - New warplanes once revolutionized warfare — and the gripping aerial battles of the Second World War have now also found their way onto the Nintendo Switch. Step into the boots of Admiral Lucas Stark (US Navy) and coordinate the defence of Pearl Harbor and the liberation of the Pacific Ocean — or win honour and glory for the Japanese empire as Admiral Hideaki Hashimoto (Imperial Japanese Army). Air Conflicts: Secret Wars (KalypsoMediaGroup, €19.99 / £14.99) - Air Conflicts: Secret Wars is an arcade flight game with battles spanning both World Wars, featuring seven campaigns and 49 missions that engage players in white-knuckle air battles and secret missions across Europe and North Africa. An impressive selection of famous aircraft of the era is available to the player, each showcasing specific strengths and weaknesses in the battle for air supremacy. 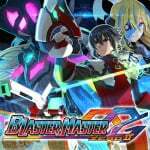 Blaster Master Zero 2 (Inti Creates, €9.99 / £8.99) - The story of Blaster Master Zero 2 begins a few months after the events of the first game (released on March 9, 2017), where the main protagonist Jason saves planet Earth from the mutants. Eve has been infected by mutant cells that are slowly corrupting her body, so together with Jason and Fred, they board G-SOPHIA and begin an intergalactic journey to Eve's home planet, Sophia, in hopes of finding a cure for the mutant infection. Nuclear Throne (Vlambeer, €12.99 / £10.99) - The indie Super-hit from Vlambeer, finally on Nintendo Switch! Nuclear Throne is a post-apocalyptic roguelike-like top-down shooter. Not 'the final hope of humanity' post-apocalyptic, but 'humanity is extinct and mutants and monsters now roam the world' post-apocalyptic. Fight your way through the wastelands with powerful weaponry, collecting radiation to mutate some new limbs and abilities. All these things and more you could do if only you were good at this game. 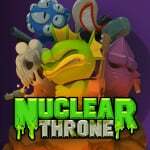 Can you reach the Nuclear Throne? Assault On Metaltron (Blue Sunset Games, €4.89 / £4.19) - First action tower defence game where you power up your towers however you like. Play as Metaltron's Defender Golem and build towers to defend your planet from the allied forces of humans and orc hordes. The game offers 40 levels of campaign that can be played solo or in co-op and first ever Skirmish mode in tower defence games. SYMMETRY (Imagination, €9.99 / £8.99) - Symmetry is a survival management game set in a retro-futuristic, sci-fi universe. Your main goal is to manage the crash survivors and help them withstand the desolate, extremely cold environment in order to fix their spacecraft and escape. The non-obvious plot is accompanied by an atmospheric musical score and graphic design that sustains the harsh and mysterious ambience. Chocobo's Mystery Dungeon EVERY BUDDY! (SQUARE ENIX, €39.99 / £32.99) - A new instalment of the ever-popular series is here! The classic FINAL FANTASY FABLES: Chocobo’s Dungeon is back with an enhanced gameplay system - to be enjoyed by both first-timers and fans of the series! Explore the challenges of the never-ending dungeons ("Insatiable Hunger"), befriend monsters with the new buddy system. You adhere to one simple rule, … every time you enter, the world around you changes shape, but it only moves whenever Chocobo moves! Includes Pre-Order Bonus Buddy Chocobo “Alpha” Pre-Order Bonus: A chocobo is an adventurer's best friend! With the new Buddy System, you can take a chocobo buddy with you on your adventure. Invite Alpha and begin your journey now! Impossible Mission (System 3 Software, £9.99) - A faithful adaptation of the past retro classic that improves on the original in every way. You have just 6 hours to find all the pieces to solve a mad scientist’s puzzle while avoiding devious human-seeking robots and deadly black orbs. Includes three versions, the C64 original classic, a re-skinned classic and the totally updated new version. 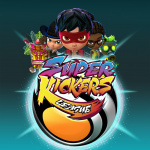 Super Kickers League (Xaloc Studios, €14.99 / £13.49) - The best arcade experience and football fantasy are waiting for you in Super Kickers League. There are no referees, there are no rules, everything is allowed, the only aim is to score more goals than your rival! Play alone or with friends, form a team of captains and combine different skills to win matches, competitions and to unlock different game modes. ACA NEOGEO BASEBALL STARS 2 (HAMSTER, €6.99 / £6.29) - BASEBALL STARS 2 is a sports game released by SNK in 1992. Get the full experience with intense graphics and passionate announcers! Time to see some exciting baseball! Use the Power-bat to send the ball flying for an amazing home run! The Auto-Fielding system allows for even beginners to enjoy the intense gameplay. 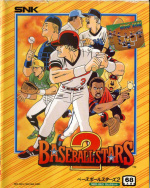 - Read our ACA NEOGEO BASEBALL STARS 2 review. 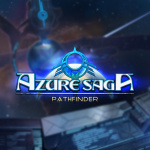 Azure Saga: Pathfinder DELUXE Edition (Toge Productions, €7.64 / £6.87) - Far into the future, the human race survives through colonies scattered across the universe. One tale gives humanity’s remnants hope – one of the legendary planet, Azure, a world full of life and abundant resources that could bring humanity back from the brink of extinction. Join a young scientist, Synch, as he travels across the galaxy to meet new companions and find his father. Block-a-Pix Deluxe (Lightwood Games, €7.99 / £6.99) - Reveal the picture by dividing the grid into smaller rectangular blocks to create a colourful mosaic. Each block must contain one clue number, indicating the size and colour of the block to be painted. Block-a-Pix Deluxe contains 120 puzzles. They produce cute, detailed pictures which have been carefully hand-crafted and are guaranteed to be uniquely solvable. Grand Prix Story (Kairosoft, €10.00 / £8.99) - Become the boss of your own team, training drivers and acquiring sponsors before conquering the Grand Prix! Develop new vehicles and parts, and customize them any way you like! Do you have what it takes to make it to the winner's circle? James Pond Codename Robocod (System 3 Software, €- / £9.99 / CHF -) - James Pond, one of the true gaming legends, returns for his greatest adventure yet in Codename: RoboCod. With scores of mind-bending levels, cunningly hidden rooms, topped off with some of the best cartoon-style graphics around makes James Pond – Codename: RoboCod on Nintendo Switch a true collectors' classic. JUNK PLANET (Happinet Corporation, €11.99 / £10.99) - Clean up junk while bringing plants and creatures to life. Freely reclaim the Junk Planet in this 2D sandbox game. The game takes place on Junk Planet, a planet that was bombarded with so much junk, it was completely ruined. It's here that a peculiar pair meet by chance and their story begins. Reptilian Rebellion (Herrero, €2.99 / £2.99) - The Reptilian Rebellion has just started. Wait, don’t you know what reptilians are? There are thousands of these green lizard-men living amongst us, but now they have become too dangerous and want to take control of the planet. Don’t let reptilians rule the world and send them to hell. StarDrone (Beatshapers, €8.82 / £7.59) - In StarDrone, players pilot their Drones across the galaxy, collecting pieces of Equilibrix in order to restore the equilibrium of the universe and stop the evil G-Noids from taking over. However, this journey requires much more than star-gazing, as your Drone is constantly in motion and the more stellar matter you collect, the faster it will travel until you are moving at the speed of light. Along the way, key power-ups will earn you more points that will ultimately let you compete against the world on the StarDrone scoreboards. Super Phantom Cat: Remake (VEEWO GAMES, €9.99 / £8.99) - Super Phantom Cat is a "Pawsome" retro platformer, or what we like to call "Catformer," in which you explore quirky environments, clear purrrfect colourful levels, solve the mysteries shrouding the Phantom world and rescue your kidnapped little sister, Ina. 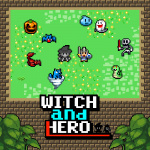 Witch and Hero (Flyhigh Works, €4.99 / £4.49) - You play as a Hero accompanied by a Witch and you are seeking revenge, and justice, over the evil Medusa. Medusa turned the Witch into stone, so she is no longer able to move; it’s up to the Hero to defeat the monsters and collect their blood in order to recover the Witch for a limited period of time. Peasant Knight (Ratalaika Games, €2.39 / £2.39) - All the while you're relentlessly dashing forward into traps, enemies, and hazards. Peasant Knight has a tongue-in-cheek tone that fits well the many ways to reach your demise. Sushi Time! (Baltoro Games, €4.99 / £4.49) - Welcome to Sushi Time! Manage a sushi bar and become a tycoon of Japanese food! Try to deliver the orders on time, but be careful not to mix them up! Upgrade your bar and beautify it, so that you'll be able to create the best sushi in town! Horror Stories (RandomSpin, €3.59 / £3.23) - How did you imagine how murders are being committed by serial killers? You find yourself in one of these situations, in which you need to not catch the eye of the killer and try to survive by killing him! 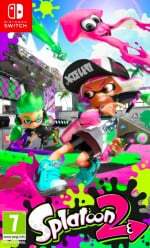 Splatoon 2: Special Demo (Nintendo, Free) - A free Special Demo of Splatoon 2 is now available until March 25th. By playing the Special Demo, you can get 33% off Splatoon 2 until March 31st, and some progress you've made in the demo will be carried over to the full game! Claim turf anytime, anywhere, with anyone in Splatoon 2, only on Nintendo Switch. Traditional 4-on-4 turf battles return in this full sequel, along with returning modes, new stages, new fashions, new weapons and much more! Grand Prix Story Demo (Kairosoft, Free) - Become the boss of your own team, training drivers and acquiring sponsors before conquering the Grand Prix! Develop new vehicles and parts, and customize them any way you like! Do you have what it takes to make it to the winner's circle? Doodle God : Evolution Demo (JoyBits, Free) - Doodle God: Evolution is a unique edition of the well-known game that includes not only the classic Doodle God, but Doodle Farm as well. And now, in this addicting all ages game, not only fire, earth, water and air but also plankton, mammals or birds will be at your disposal. Mix and match different combinations of elements to build an entire civilization and re-create the evolution of the animal world! Horror Stories Demo (RandomSpin, Free) - How did you imagine how murders are being committed by serial killers? You find yourself in one of these situations, in which you need not to catch the eye of the killer and try to survive by killing him! Cuphead (StudioMDHR, €19.99 / £16.99, pre-order from 20/03/2019) - Cuphead is a classic run and gun action game heavily focused on boss battles. Inspired by cartoons of the 1930s, the visuals and audio are painstakingly created with the same techniques of the era: traditional hand-drawn cel animation, watercolour backgrounds, and original jazz recordings. Play as Cuphead or Mugman (in single player or local co-op) as you traverse strange worlds, acquire new weapons, learn powerful super moves, and discover hidden secrets while you try to pay your debt back to the devil! Katana ZERO (Devolver Digital, €13.49 / £12.14, pre-order from 20/03/2019) - Katana ZERO is a stylish neo-noir, action-platformer featuring breakneck action and instant-death combat. Slash, dash, and manipulate time to unravel your past in a beautifully brutal acrobatic display. My Time at Portia (Team17, €29.99 / £24.99, pre-order from 19/03/2019) - Restore your Pa's neglected workshop to its former glory by fulfilling commissions, growing crops, raising animals, and befriending the quirky inhabitants of this charming post-apocalyptic land! Armed with your Pa's old handbook and workbench, you must gather, mine and craft your way to being crowned the number one workshop in Portia. Help the locals rebuild the town and uncover the secrets locked deep away beneath it. Be prepared though…it won't be easy! OMG Zombies! (Ghostlight, €1.09 / £0.99, pre-order from 19/03/2019) - As a lone cop armed only with bare wit, a large-calibre sniper rifle and bullets coated in a zombie-exploding pathogen, you are the last man standing at the epicentre of a zombie outbreak. Your mission? To succeed where the police and army failed by clearing the streets of 8 different strains of bloodthirsty zombies and stop Armageddon in its tracks! SpellKeeper (Silesia Games, €4.49 / £3.74, pre-order from 19/03/2019) - SpellKeeper is a unique logic game with dozens of challenging puzzles and beautifully hand-drawn graphics. Take on the role of the Chosen One and save butterflies trapped in magic cocoons. Use various types of Magic Spells and arrange them on the board in the right way. Among the Sleep - Enhanced Edition (Soedesco, €22.49 / £22.49, pre-order from 21/03/2019) - In the enhanced edition of this award-winning first-person horror adventure, you step into the pyjamas of a two-year-old child creeping through a dark and distorted house. Find your missing mother as you wander through sinister and surreal surroundings ranging from a haunting playground to a lakeside cottage, with only a teddy bear by your side for comfort. Will you survive long enough to unravel the family secret and make it to the end of this pitch-black nightmare? Pitfall Planet (Abstraction Games, €11.99 / £9.59, pre-order from 21/03/2019) - Featuring the cutest pair of robots this side of the Milky Way, Pitfall Planet’s action takes place on a distant, forgotten mining world. Play as the two astrobots, who after being stranded and separated from their ship, must traverse the subterranean caves of the ruined planet, overcoming its many perils in the process. Snow Battle Princess Sayuki (Ninja Games Japan, €7.49 / £6.74, pre-order from 21/03/2019) - Help Sayuki, a snow princess, break an evil curse set upon her loved one by finding 8 items scattered across 8 lands. The treacherous journey will take you across Blizzard Mountain, Monsters Castle and Hells Valley where you will encounter many mysterious yokai monsters. 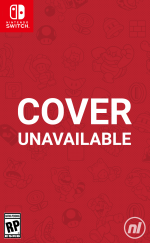 Switch 'N' Shoot (Matthew Glanville, €3.30 / £2.96, pre-order from 21/03/2019) - Calling all pilots: Earth is under alien attack! Your assistance is required! No experience necessary. Piloting an advanced starfighter with just one button is simple: you switch, you shoot. Every shot fired changes your direction, and mastering this is the key to becoming a legend among the stars. Timing is everything! Undead's Building (DOUBLE DRIVE, €3.99 / £3.59, pre-order from 21/03/2019) - Operate an elevator in a zombie invested apartment where the undead wander the hallways! Use the security monitors to check each floor and then move between floors as quickly as possible to pick up survivors. Delay and the undead will eat them before you get there. Event Horizon (Drageus Games, €2.99 / £2.69, pre-order from 22/03/2019) - Take command of a space fleet and start your galaxy exploration mission. Battle hostile aliens, conduct scientific research, capture resources, trade, build new ships and upgrade existing ones. Thousands and thousands of star systems, ferocious battles and surprising encounters are waiting for you. Street Basketball (Baltoro Games, €4.19 / £3.84, pre-order from 22/03/2019) - Put your duelling instincts to the test in one-on-one matches! Choose from multiple characters with their signature ability shots. Pick their looks from the list of available outfits. Make them better players by improving their stats! Woah woah woah. Where are the deals and offers? Or are there so many that they are getting their own article this week? I saw Mission Impossible on e-shop yesterday, but James Pond Robocod, where did that come from? - Fantastic. This was published by EA in the Megadrive, so very surprised. I wonder if collecting items to spell CHEAT still works at the beginning? Bought Chocobo's Mystery Dungeon and I'm loving it so far. It's been too long since I last played a Mystery Dungeon game. That Unravel 2 pricing is a no from me - waiting for a sale. It's £16 on other platforms (that's launch price). There is price parity in the US eShop but in europe it's almost 60% more than other platforms. No idea why but your reply made me chuckle. Probably just because of how blunt it was. £25 for unravel that's steep! @Gerald Ah yes: clock, hammer, Earth, apple, tap. I wonder if the Penguin sponsorship is still present. Unravel is $20 (£15) in the US and £25 in the UK £10 more. Why Final Fantasy VII is not on the list? @Gerald pretty sure this is a port of the terrible DS/PS1 version of Robocod, not the original. Cheat still there, but the levels are rubbish and now you have to collect elf bombs in each level. Is it me or is this Nintendo year again. Ba Ba Ba Ba BASEBALL STARS 2!!! 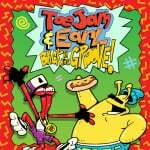 Why is ToeJam and Earl listed as new release when it was out several weeks ago? Blaster Master Zero 2 and Turok for me (well I’ve already got them). BMZ2 is really awesome so far, although a bit more difficult than the first one it seems there’s a correct weapon or combination of sub-weapons to most enemies and bosses. 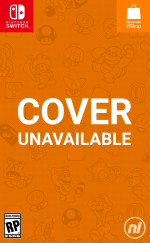 I may have to get James Pond, I never got the chance to play that back when it first came out. @BulkSlash Glad to hear about Blaster Master Zero 2 being harder. Although the first game was really good you end up being overpowered. Unravel 2 is a great game, I played it on PC. Actually, thanks to steep pricing on the eshop for a lot of indie games, I have returned to my PC for my daily dose of gaming and I feel all the better for it (Iconoclasts for example). Eshop sales are a joke except twice a year for summer sale and black Friday. 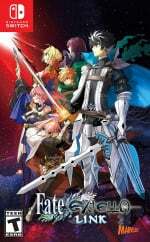 Indies are nice, but where are the 3rd party games?